Welcome, our dear customers! 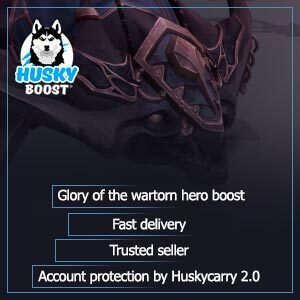 This is an article introducing WoW glory boost! We’re going to examine it so everything would be clear! Ah, these raids with horrifyingly difficult bosses… Well, at least Blizzard rewards taking them down with special achievements. 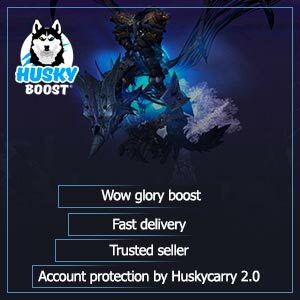 Since the ancient time champions struggled hard to beat the hardest monsters by any means necessary. So killing the terrifying bosses just added up challenging competition! No wonder, because defeating one is not as easy as it seems. The preparation requires coming up with a special battle plan, picking up correct classes, finding out each ability the enemy can use and much, much more. 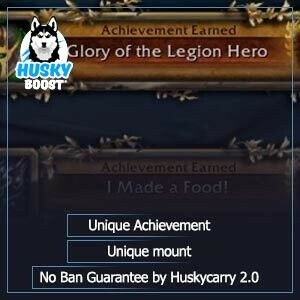 However, every deed like that only adds up glory to every WoW champion on both US and EU servers who has passed through the challenge by means of honest completion or ordering a boost. The prize pays off all the risk and effort spent. 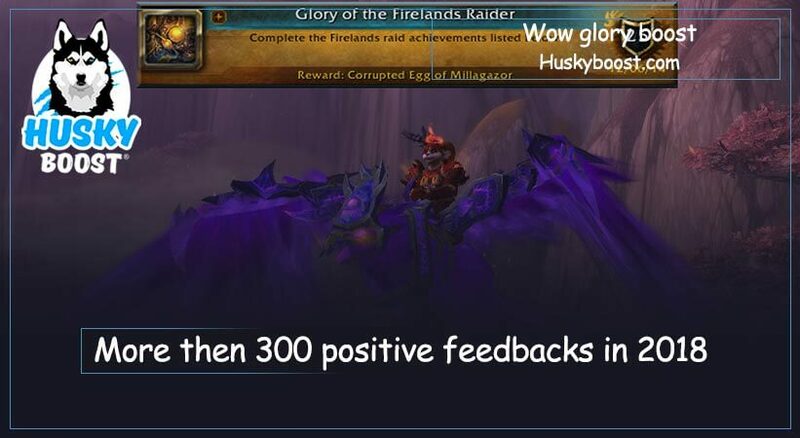 Either it is a group raid or a difficult dungeon, each rewards players with a magnificent mount. 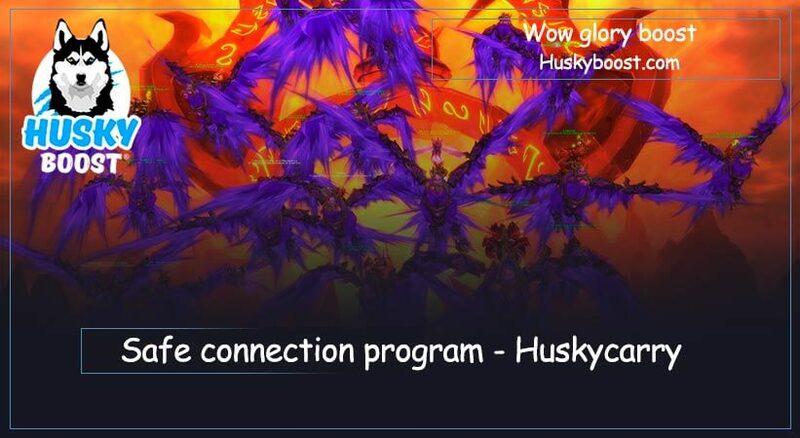 There is only a little bunch of players who managed to actually obtain one. 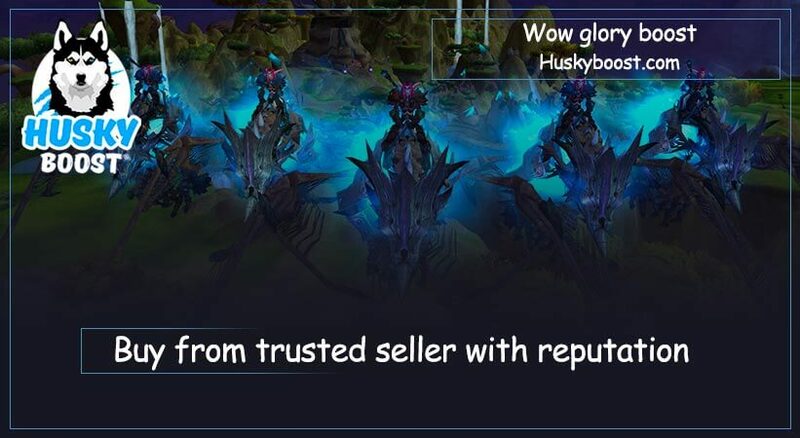 That makes it kind of unique. Of course, you would be able to complete these dungeons after several new expansions, but… Well, the creature won’t be as unique as it used to before. There is going to be a lot of brand new content to worry about. 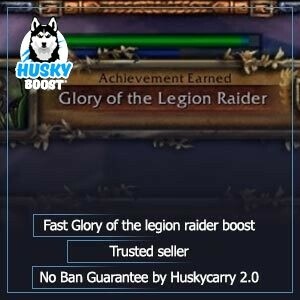 So why not buy a Glory boost from Husky by ordering our service in WoW section? Ease your burden and prepare for the upcoming events!